We’ve reached a very peculiar point in the sporting calendar this week. Though three of the four major North American leagues are currently in the midst of their particular seasons – not to mention the PGA – it seems like all we’re doing as fans is waiting. We’ve been waiting the last nine days for the longest two-week stretch in the NFL to come to a close. We’ve been waiting for some team to open up the checkbook and sign either Bryce Harper or Manny Machado. It also now seems like we’ll be waiting till the summer to see where Anthony Davis winds up after his recent trade demand to the Pelicans. That’s a lot of thumb twiddling. Well, I personally can’t make time go any faster, but I can help kill a bit of it as we all wait together. Here are a few of the most interesting statistics I’ve come across this week. 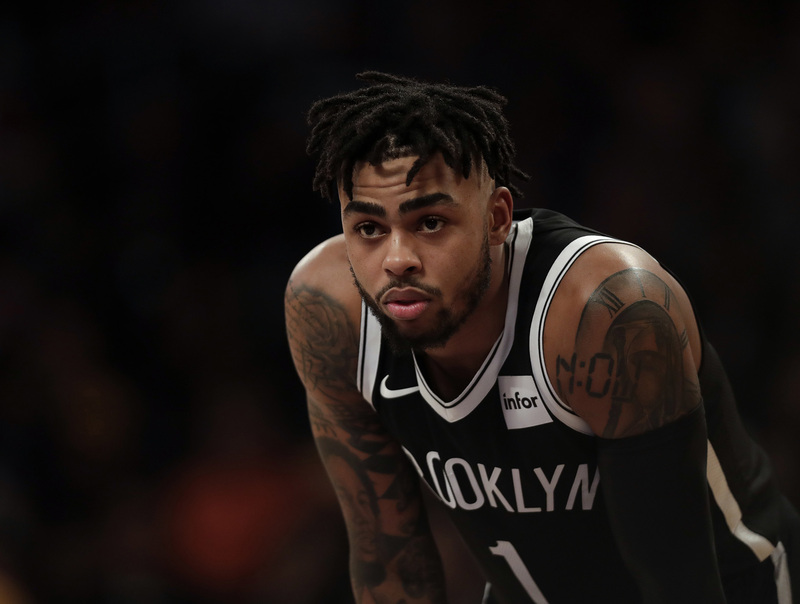 It would seem pretty natural for D’Angelo Russell to want to pick up the slack for Spencer Dinwiddie, who underwent thumb surgery on Monday and will now be sidelined for the next 3-6 weeks. I mean, in the most basic assessment of the situation, the correlation is almost too obvious. Not counting the injured Caris LeVert, Russell and Dinwiddie rank first and second on the Nets in almost every single important offensive category: points per game, field goal attempts and usage rate. Yet, in expecting a major leap from Russell across the next month or so, people are missing a few important factors. The most pressing of which being whether or not he’s even given a chance to carry a larger burden by Kenny Atkinson. We’re now 51 contests in to Year 3 of the “Atkinson Era”. That’s a pretty decent sample size. In that span, exactly zero players have averaged 30 minutes of action under Atkinson’s watch. Brooklyn’s injury report is currently the most lengthy in the entire league, but not a single player is seeing more that 29.7 minutes per night within this roster crunch. A few players have come close. Brook Lopez was getting 29.6 minutes per game back in 2016-17. DeMarre Carroll even registered 29.9 last season. However, at the end of the day, the human egg timer that is Atkinson knew when to pull his players back. Now, while I’m not saying we should continue to expect Russell to only play the 23.5 minutes he’s seen in his first two matchups without the services of Dinwiddie, I wouldn’t suggest the amount of run skyrockets from here. Atkinson clearly has a very set in stone philosophy about rotations. Plus, with these stringent minute caps on his players, the staggering of Atkinson’s few reliable scoring options becomes even more important. It’s under these conditions that we come to realize that Russell and Dinwiddie weren’t really playing with each other all that much, anyway. Of Russell’s 1,477 minutes so far this season, he’s shared the court with Dinwiddie for only 37.1 percent of them. Also, in those 548 minutes, Russell’s 30.9 percent usage rate is actually higher than his 30.1 percent rate when Dinwiddie is sitting on the bench. Really, we’re talking about a player already taking 28.4 shot attempts per 100 possessions. The lone player trying more field goals in the NBA is none other than James Harden. How much more can we honestly expect from Russell? Though he’s only once accumulated more than 500 plate appearances in a season – or maybe because of it – A.J. Pollock continues to be one of the most polarizing players in Fantasy Baseball. Well, that spotlight only grew bigger with the 31-year-old signing a four-year, $55 million contract with the Dodgers late last week. I guess the most frustrating aspect of the whole situation is not just the obvious potential, but the random ways in which Pollock consistently finds himself on the DL. In 2016, coming off a campaign in which he posted an immaculate 6.8 fWAR, Pollock broke his elbow sliding into home plate. Last year, it was a broken thumb attempting to make a diving catch. We’re now so accustomed to an archetype of player who can’t seem to go two weeks without some sort of strain or pull; yet, for Pollock, he simply keeps tripping over his own feet. It’s impossible for me to tell you if Pollock stays healthy in 2019 – I don’t read tarot cards. 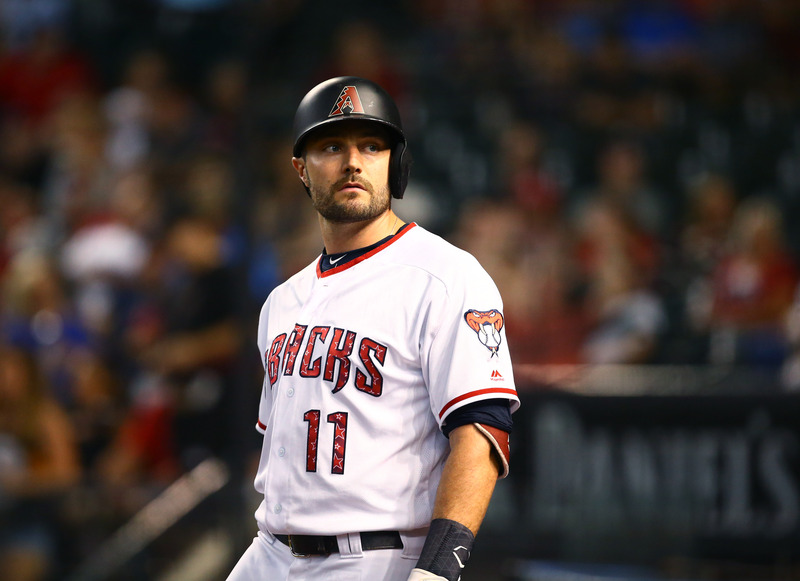 However, we can dive into a few of the non-injury aspects that made Pollock’s final season with the Diamondbacks seem like a bit of an outlier. Most interestingly, his sudden inability to hit left-handed pitching. In 155 plate appearances against southpaws in 2018, the right-handed outfielder was only able to muster a modest 91 wRC+ with a .310 wOBA. This, after a three-season stretch in which Pollock posted a .211 ISO with a .363 wOBA when facing lefties. So, what went wrong? Bad luck honestly appears to be the answer; not that Pollock has necessarily ever suffered from the inverse. Despite a batted-ball profile that is nearly identical regardless of the handedness of the opposing pitcher, Pollock possessed an incredibly unfortunate .220 BABIP against LHPs in 2018, a figure a full .097 points lower than his BABIP when hitting right-on-right. Sure, there’s an argument that Pollock’s career-high strikeout rate was preventing him from even putting enough balls in play, however, it’s not like we didn’t witness an adequate power trade-off for those swings and misses. Pollock was setting career-bests across the board last season. In just 460 plate appearances, he exceeded his 20 home-run output from 2015. His hard contract rate shot up to 44.5 percent; his isolated power rose to .228; his fly ball rate increased at a pace congruent with his HR/FB ratio. These are all acceptable outcomes when your career-high strikeout rate is still a relatively league-average 21.7 percent. Pollock actually had more batted ball events result in a barrel last year (32) than he had in the entirety of his one full MLB season – and he received NL MVP votes that Fall. Of course there remains of caveat of his durability, but all that’s standing in the way of Pollock having a huge 2019 is a little luck. He’s certainly due. If it seems like Sony Michel is having a really good start to his playoff career, you’d be accurate in feeling that way. 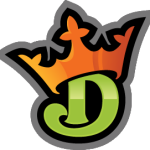 The rookie already has five rushing touchdowns to his name through two games in January, only one fewer score than he accumulated in the entirety of the regular season. 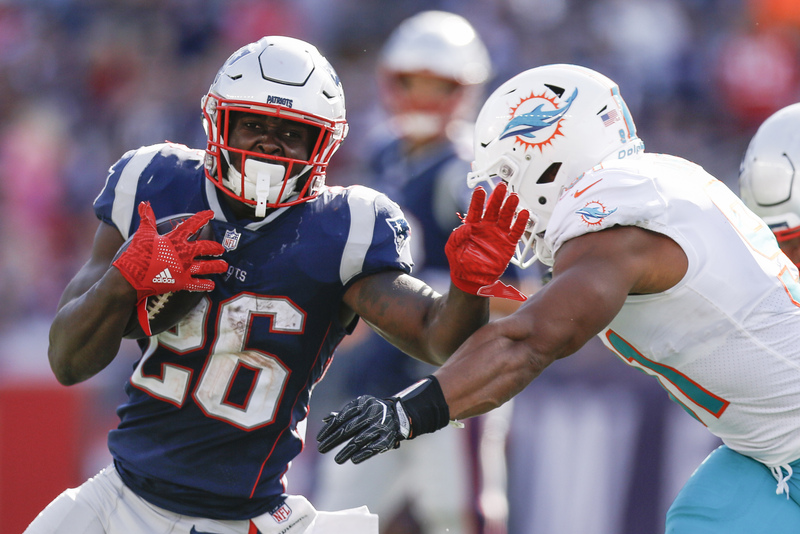 Now, part of this is due to an abundance of talented running backs on the Patriots’ roster, and another aspect that has to be considered is Michel missing three games due to injury; but the question still remains: why the sudden jump in end-zone trips? If you’ve been paying attention to Bill Belichick for the past two decades, the answer should be pretty clear. New England exploits weaknesses. It’s what the Patriots have always done. So, while play sequencing and pure blind luck definitely has something to do with Michel’s abundance of goal-line opportunities, let’s not ignore that the Patriots have made a very concerted effort to keep the ball on the ground in high-leverage situations the past three weeks. In fact, of the 12 offensive snaps that New England has taken inside the opponent five-yard line in these playoffs, 11 of the play calls have been runs. Now, it’s obviously not as if Belichick and the rest of the Patriots’ coaching staff don’t trust their sure-fire Hall of Fame QB – though the one throw they have made of the 12 plays was intercepted – but, if the system isn’t broken, why try and fix it? It’s not as if Michel didn’t led the AFC in red zone rushing attempts during the regular season, too. There’s a clear precedent for this. Plus, as I referenced earlier, opponent is a massive factor. The Chiefs had the worst rushing defense of this millennium if you’re basing your assessment on adjusted line yards allowed and it was ridiculous to believe that Belichick wouldn’t attempt to take advantage of that inefficiency. Looking ahead to this Sunday, the Rams aren’t a whole lot better. Only the lowly Cardinals surrendered more rushing yards per carry to backfields of all 16 NFC squads, with Los Angeles’ star-studded defensive depth chart not nearly producing to the level of which they are capable. This all isn’t really Aaron Donald’s fault, though. The Rams real struggle comes once opposing runners get past their defensive line. Los Angeles ranks in the bottom 10 of the league in containing both second level and open field rushing yards; with RBs often exposing the true weak link of the unit: linebacker play. Consider that among all LBs to take the field for at least 400 rush defense snaps this season, Cory Littleton has the second-worst run grade at his position by Pro Football Focus. His teammates don’t fare much better and, because of that, Sony Michel should continue to roll.